AirplaneGeeks 371 Kevin Michaels - Airplane Geeks Podcast - The weekly audio podcast that explores and expands your passion for aviation. We talk with Kevin Michaels about United Airlines CEO Oscar Munoz and his strategy to repair the airline’s image, radical ideas for air travel, and Southwest Airlines purchase of two gates for $120 million. Also, risks that the airliner order bubble could burst, Bombardier strategy, and the viability of the A380neo. Dr. Kevin Michaels is Vice President – Aerospace & MRO Practice at ICF International. Kevin began his career as a project engineer with gas turbine OEM Williams International. Since then, Kevin has accumulated more than 25 years of aviation experience, including hundreds of consulting engagements for leading aviation and aerospace companies worldwide. He is a globally recognized expert in the aerospace manufacturing and maintenance, repair, and overhaul (MRO) sectors. Kevin has significant expertise in business-to-business marketing, customer satisfaction, and strategic planning. Kevin’s experience spans all major market segments, including air transport, business and general aviation, and military. He was director of Strategic Development with Rockwell Collins Government Systems, and principal with The Canaan Group. Kevin has a B.S. in Aerospace Engineering and an M.B.A. from the University of Michigan; he also has an M.Sc. and a Ph.D. in International Relations from the London School of Economics. The airline order “super cycle,” the risk that it is a bubble that could burst, and the effects of sinking fuel prices and low cost of capital. The situation at Bombardier, including their balance sheet and strategic problems given the market and actions by Boeing and Airbus. Retirements from the fleet where the aircraft have more value entering the surplus parts market. This has a significant impact on the OEM new parts market. British Airways has taken delivery of its first 787-9 Dreamliner of the 22 planes it has ordered. The -9 is 20 feet longer than the base -8, has a higher maximum take-off weight (MTOW), can seat 280 in a three-class configuration, and has an 8,300 nautical mile range. BA also released a time-lapse video of the aircraft being assembled in Seattle. Make middle seats feel exclusive. Southwest Airlines paid United Airlines $120 million to sublease two gates at Dallas Love Field. Southwest had already controlled 16 of the 20 gates at Love Field. United and Virgin America controlled two each. Delta Air Lines argues the gates are owned by the city and airlines can’t sell them. All this is being heard by a federal judge. We found this piece after recording the episode. Virgin America CEO David Cush talks about the Love Field gates. David attended the Joint Base Andrews’ open house on September 19th 2015. Last week we brought you David’s interview with Lieutenant Colonel Christine “Grinder” Mau, Deputy Commander for the Operations Group of the 33rd Fighter Wing. Col. Mau was the first woman cleared to fly the F-35A Lightning II, and one of only 52 women fighter pilots in the USAF. 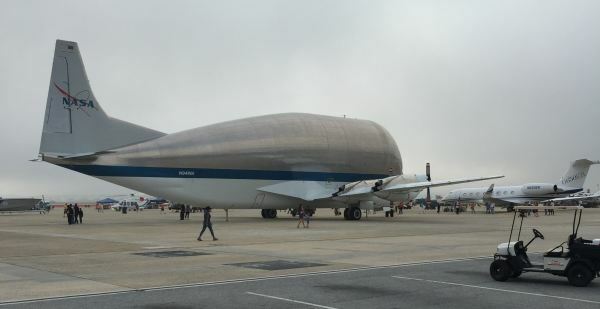 This week we have the interview with David Elliot, the Flight Engineer and Program Manager for the NASA Super Guppy N941NA. David talks about flying and the planning for missions. A unique aircraft with unique missions. Finally back after a bit of a break although Grant has subbed out due to family reasons, being ably replaced by ATC Ben. Ben tells us about his recent slight change of job, and location, having moved from the world of en-route controller in Melbourne to tower controller in the remote Western Australian town of Karratha. He tells about the aircraft movement this predominantly mining based town hosts each day, including scheduled airline services through to multiple helicopter flights going out to the oil and gas rigs off the coast. In the news, the RAAF has used a KC-30A tanker to successfully conduct air to air refuelling sorties with a USAF F-35A in the skies over California recently. Using the boom system, the Lighting II make 59 contacts, taking on 23,000lbs of fuel in total. A busy day for all involved. 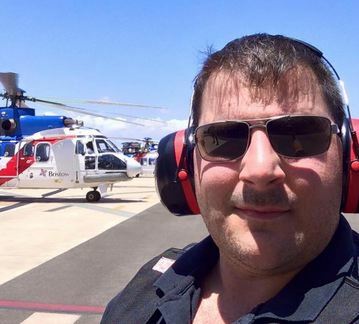 Ben then talks about his participation in the annual World Flight event, the Australian version of which raises funds for the Royal Flying Doctor Service. Ben is a regular participant in this virtual around the world flight, using a fixed based 737 simulator in Hobart, Tasmania. More details can be found at http://worldflight.com.au/. 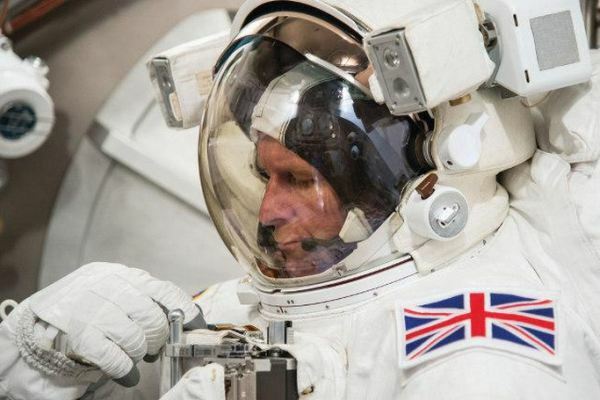 This week Pieter celebrates #WorldSpaceWeek with an update on the UK Space Agency’s first European Space Agency astronaut Major Tim Peake who will fly to the International Space Station on December 15th 2015. His mission title is Principia and he will be on the space station for up to 6 months. We also get an update on the latest Arianne 5 launch last week from French Guiana. You can also follow Doc’s Friends progress on their website, Facebook and Twitter. This entry was posted in Episodes and tagged B787, British Airways, Southwest, Teague, United Airlines on October 7, 2015 by maxflight.